How Does Swipe N' Buy Work? 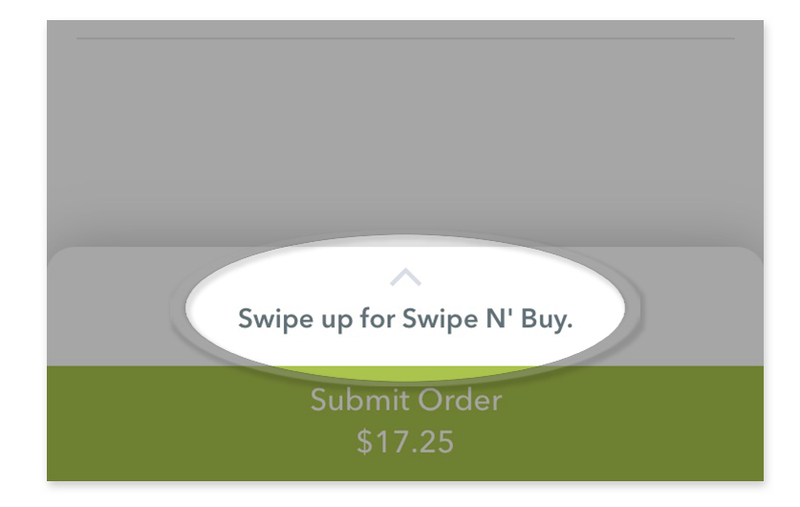 Swipe N' Buy is the quickest way to order your favorite meal on Waitr! Make sure to have your Swipe N' Buy settings turned on. Learn more here. Browse a restaurant's menu and add items to your cart. When you are finished adding items to your cart, tap the fork and knife icon in the upper-right corner. You should see an option above the 'Submit Order' button to 'Swipe up for Swipe N' Buy'. Here you can swipe up to review your options. 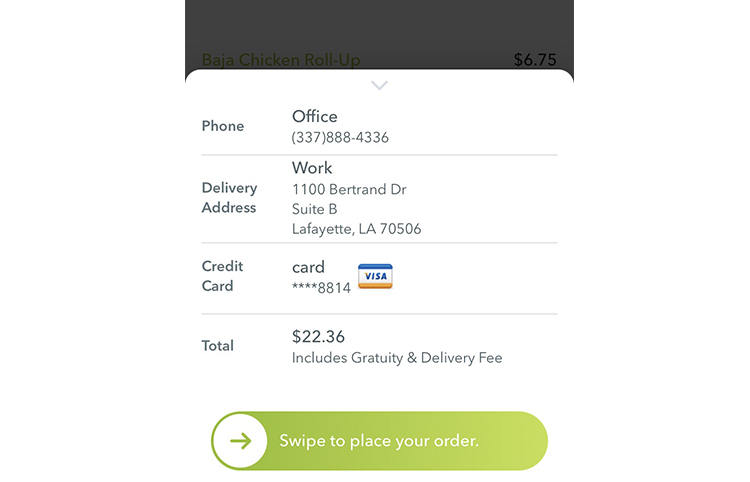 If all of your information is correct, swipe right on the green bar at the bottom of the screen, to place your order.